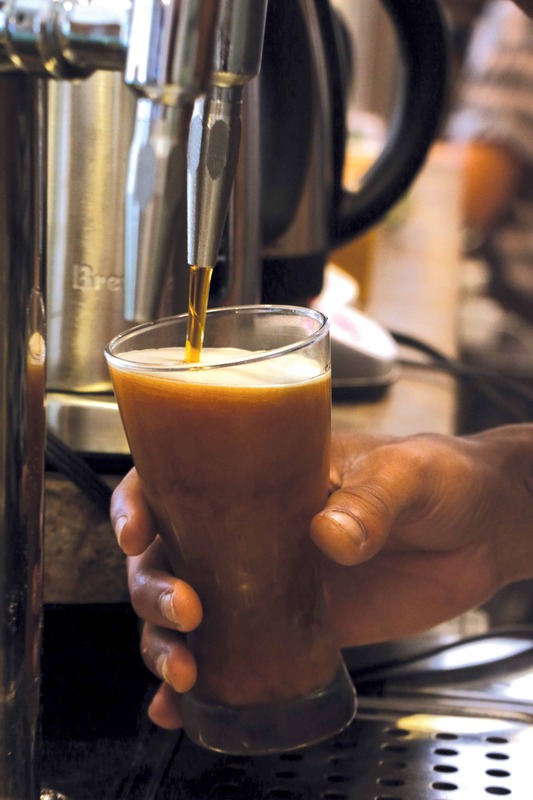 Nitrogen gas infused into coffee to give the feel of an ice-cold beer in the morning – that’s the trend of Nitro Coffee. This new form of serving coffeehas poured its way into Central Pa. Harrisburg Magazine touched base with two local coffee shops that serve the cold-brewed coffee, making the midstate a little cooler and a lot more caffeinated. Andrea Grove is the owner of Elementary Coffee Co. in Harrisburg. Her outlook on nitro coffee stands as it being so impressive and so unique, it doesn’t need any added flavors or enhancers to be fully enjoyed. While nitrogen-infused coffee is still a growing method of serving coffee around the country, Elementary Coffee Co. decided to join along in the trend because nothing compares to this deliverance of coffee. For Little Amps Coffee Roasters employees and guests, cold-brewed coffee is nothing new. But when nitro coffee was introduced, making it an addition to the already appealing selection was a no-brainer. More than just an added item to the menu, nitro coffee has allowed Little Amps to expand their sales and connect them with more opportunities and collaborative efforts.